"The Best Sellers". Five of the current best selling weapons legally bought over the counter with a driving license in the USA on the 19th February 2013 in Miami, Florida. 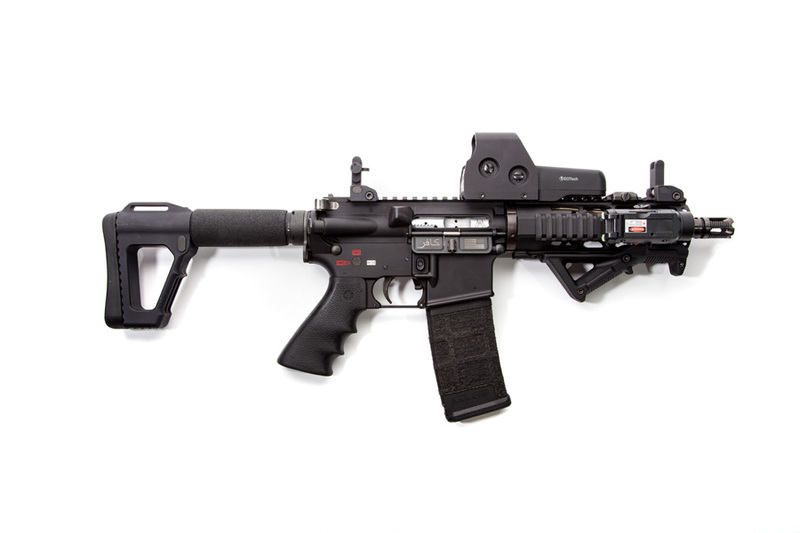 Multi Calibre AR-15 with 71/2 inch barrel, A1 foldable stock, Hogue rubber grip, front Magpol grip, front full rails,Magpol quick release, Eotech L3 sight and Spikes front and rear flip sights. The word 'infidel' along with an American flag have been inscribed on the side of the weapon and are not stock.